The Ekiti State Governor, Ayodele Fayose, has flayed the Economic and Financial Crimes Commission, EFCC, for arresting its suspects without concluding investigation, adding that the commission’s officials are acting as if they are brain dead. Fayose made the allegation following reports that the anti-graft agency sealed up a filling station in Lambe, Akute area of Ogun State, allegedly owned by him. Speaking through his Special Adviser on Public Communication and New Media, Lere Olayinka, Fayose denied the claim and he admonished the commission to adequately verify its information before acting. “If he would have had a filling station, he would have had it along Lagos-Ibadan Express Way or Lekki and other highbrow areas and not Akute. Does he even have any link with Akute? 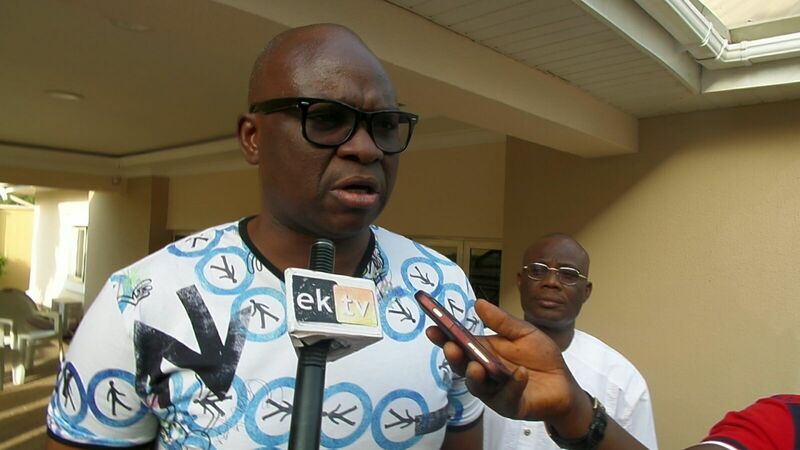 “Fayose would rather have something like NNPC mega station, which would have had at least 20 pumps. He has been a successful businessman before becoming governor. “When I hear some of these things, I am just surprised. Last week, because Fayose used a guest house, Brilla Bicaso at Gana Street, Abuja, they wanted to lock down the place. “The operator of the place dared them. They wanted him to provide evidence to show that he owns the place. He said they should lock the place and that he would meet them in court. He later said he is not the actual owner of the place. He leased it from Domkat Bali. “They went there in their ‘gra gra’ manner, whereas they have access to government information. They should check with relevant authorities like the Ministry of Lands before taking actions. “In other climes, you are supposed to have concluded investigation before you go after people. But they would want to arrest people and want them to provide evidence against themselves.